Includes dress, pair of pom poms and headband. This is an officially licensed Mickey Mouse Clubhouse product. Minnie Mouse is the most iconic cartoon character of classic comics and known for her gorgeous polka dot dresses. 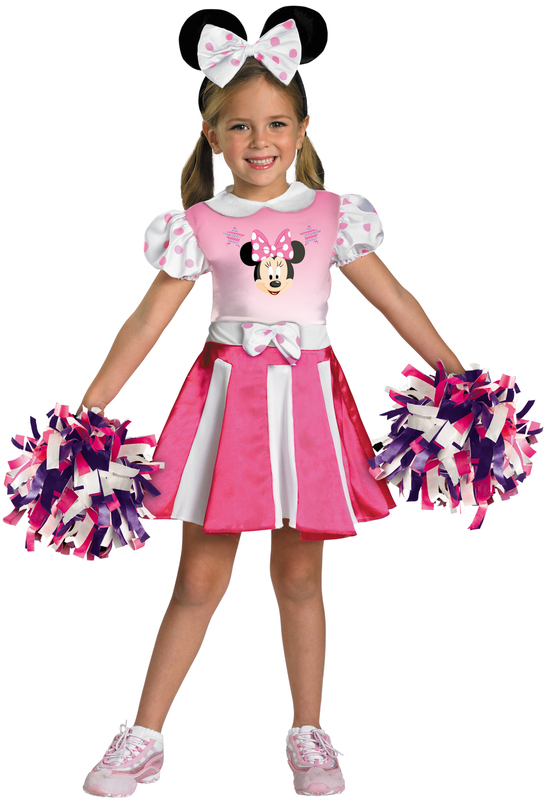 Get dressed like Minnie Mouse as there is no age limit for enjoying classic cartoons. Who is going to be the most adorable Minnie Mouse today? Bring more smiles and sparkles in eyes with Mickey Mouse Clubhouse - Minnie Mouse Cheerleader Toddler / Child costume. My granddaughter loved it. I thought it seemed a little lower quality than the Gothic Bride costume we ordered.